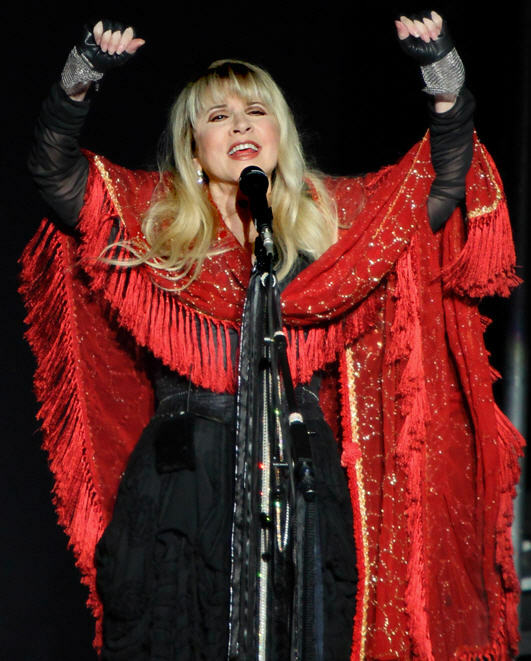 It’s been a mere five months since Stevie Nicks was last in Boston, and while that’s normal for a performer still building up buzz and a fanbase, it’s a rather hasty double-back for a rock legend. But back in March, she was the undercard for Rod Stewart, with only 75 minutes of stage time. At the Bank of America Pavilion on Monday, Nicks had almost two full hours to remind the audience that she’s still a main attraction. Nicks began by expressing her grateful surprise that the concert was able to go off as planned at an outdoor venue the day after Irene blew through town, and by the end, she extended that gratitude to her fans for being willing to listen to new songs as well as classic-rock staples like the clipped and propulsive “Edge of Seventeen.’’ It was easy enough on songs like the warm and gently surging “Secret Love’’ and “Soldier’s Angel,’’ where guitarist Waddy Wachtel’s cutting octaves honed Nicks’s Walter Reed-inspired lyrics to a sharp edge.